With the end of the financial year just weeks away … why not get a jump start on your filing and archive all your old documents. We have self storage units from very small (holds up to 8 boxes) to the size of a double garage. 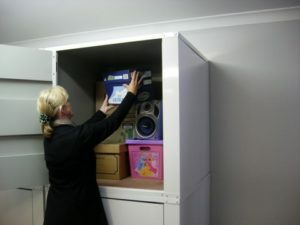 Many clients have even installed shelving and filing cabinets to make accessing files even easier. Let us know when you are moving in and we can have archive boxes ordered and ready for you to pick up. We can even book Shred X to drop bins in for you to fill with unwanted files for safe disposal. Talk to Patsy or Suzanne and let us know how we can assist you.